"Great logo, and a great designer. Annas finished my project within days and I couldn't be happier with the results!" "What an amazing and fun experience with 99designs. Our designer Annas Haz Rocks!!! 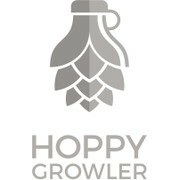 The execution provided by Annas exceeded by far the expectation of the entire team @ Hoppy Growler. Can wait to put our new logo to work! Thank you again Annas." "Annas was absolutely excellent. Understood the brief straight away. Was really responsive. Did a few things over and above the call of duty. I received 50 odd designs..His just was original and simple. Highly highly recommend." "Annas submitted the first logo out of 70 total submissions over the next 4 days. The first was was perfect and while he catered to a number of design requests on my behalf, in the end it was his original vision that was the right one. Great to work with. " "Great experience, very creative design!" "Very talented and creative designer. Prompt with communication and design. Highly recommended! A+ Thank you so much, I love my new logo! :)"
"I had several designers attempt my logo until out of nowhere, Anna's Haz came into the picture! His designs are clever, simple, clean & fun! Great communicator. He's an Artist! High Five!" "Annas Has has done an excellent job with this contest. I'd recommend Annas for similar designs." "Everything went smoothly, communication was easy. Annas managed to capture the essence of our mission in a simple and efficient way. We're happy of the outcome of this contest."